The older I get, the more I realize how much I need a dog. It’s a weird sensation that totally has nothing to do with the biological urge to procreate and nurture children why would you even think that. 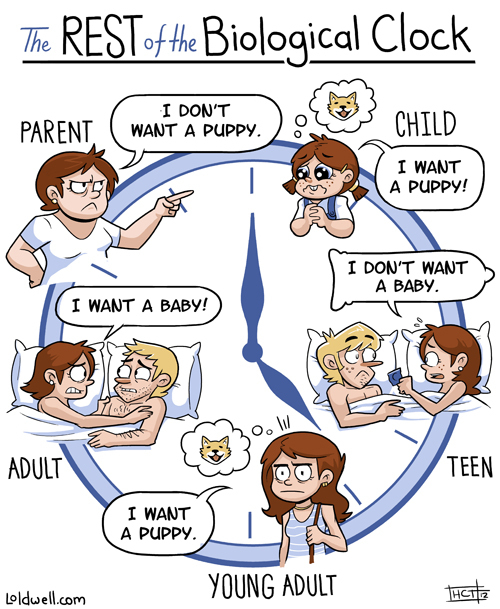 Seriously though, send me a puppy. …is that speech bubble shaped like a condom? Am I really seeing this? Convincing a friend to get a pet will ONLY MAKE IT WORSE. I like my text to be thoroughly protected. Well at least you’re not a cat person AM I RIGHT?? ?